As part of the eleventh International Garden Festival in 2010 at the Canadian Jardins de Metis/Quebec, positioned in a forest clearing. 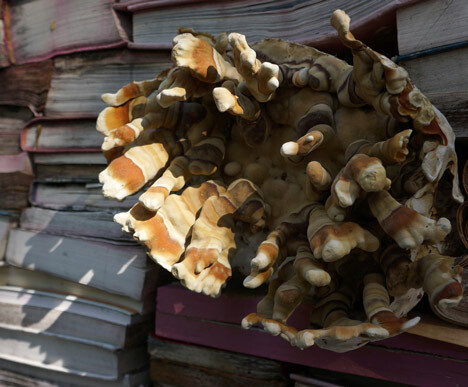 Jardin de la Connaissance is a temporary garden of approximately 40,000 books, polychrome wood planks and several breeding species of fungi. The garden was designed by Berlin landscape architect Thilo Folkerts of 100 Landschaftsarchitektur and Canadian artist Rodney LaTourelle. Its intent is to provide a platform to be the forest of multiplicity in a unique and engaging way to learn and to engage. The garden uses the mythical connection between science and nature, the underlying concept is the paradise. 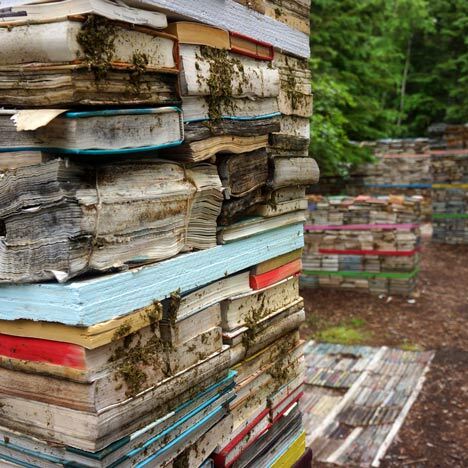 Through the use of books as a building material we confront these instruments of knowledge the temporality of nature. garden visit can be experienced . 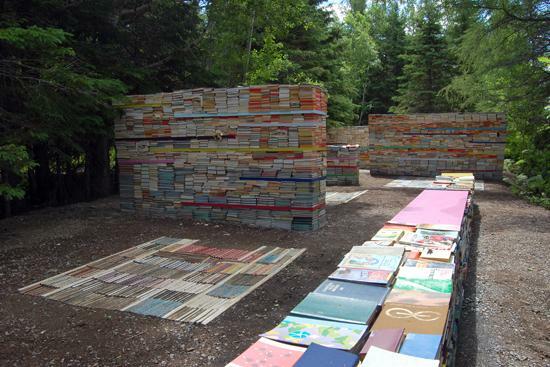 The book stacks are an open framework in the forest, which has a plurality offers different experiences. The Jardin de la Connaissance is a sensual reading room, a library, an information carrier, a world of knowledge. Further information about 100 Landschaftsarchitektur and Rodney LaTourelle.